If you wish to use the Waldorf method, but need to supply some authority with a curriculum plan, take a look at this New Zealand school’s overview. A list of more detailed answers to the most Frequently Asked Questions (FAQ) about Waldorf education. The following is a distillation of some of the characteristics of Waldorf education. By Donna Simmons. Schooling as a Journey. Find out why a Waldorf education is the beginning of a life-long love of learning. Sandpoint Waldorf School, Idaho. Everyone has heard of Stockmar Wax Crayons and Blocks. It is no surprise. They meet the highest educational, aesthetic and artistic demands. Elegant design with an attractive packaging and pleasant fragrance, Stockmar Wax Crayons appeal to the child’s senses. How the colours shine and how versatile they are! Whether drawing, painting, generously applying, layering, scraping, and melting colours, Stockmar Wax Crayons promise years of pure drawing pleasure. 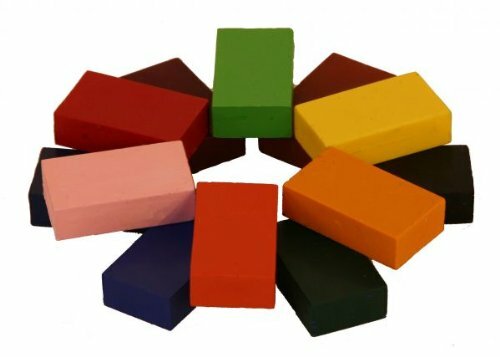 Outstanding drawing properties (no crumbling, sticking, smudging etc) non-toxic and a sound concept for Waldorf art education are what make Stockmar Wax Crayons top of the list. Tips on having a Waldorf-inspired home. Here are some of the most popular posts, broken down into categories for ease of browsing. Come celebrate the seasons of childhood with us. Toys and treasures for the natural home. Blog with ideas from Belluna Toys. Lots of holiday craft ideas. Categories about Warmth, Play, Celebration, Connection. Bernadette Emerson and Heather Fontenot, Co-Editors & Publishers, have worked together in some capacity for the past eight years, and have been lucky enough to share the joys of raising children as very close friends. Both women are committed to raising their families in the most natural and balanced way possible, and their love of cooking, crafting, and outdoor living is a major influence on the work that they do. I’m Amanda Blake-Soule. Mama to five little ones – Calvin, Ezra, Adelaide, Harper and Annabel – and partner to Steve (who shares his own words here from time to time). Two years ago now, we moved into an old farmhouse in Western Maine. There’s lots of play, many visits to the lake, and in the best of moments – peace and creativity in our family of seven. The other moments are filled with plenty of chaos and craziness, but we love those too. Pinterest board by Esra Ergun Alis of her favorite Waldorf blog sites. Pinterest board by RosyUndPosy of her favorite Waldorf blog sites. 4. to catalyze spiritual, creative paths for those who happen to chance upon my blog! Practical education tips from the writer of the Wonder of Childhood blog, Lisa Boisvert Mackenzie. I put it up after 2.5 years of participation on the WC-mailing list, to save other people from spending unnecessary time and energy trying to find out what PLANS is about. By Sune Nordwall. Some people have developed more or less intense, long term negative reaction for different reasons, at times in an obsessive direction. Such people have reacted by cultivating and publishing not only different forms of criticism but also a number of myths about Waldorf education, anthroposophy and Rudolf Steiner as the founder of both Waldorf education and anthroposophy. From Waldorf Answers. This list is designed for those interested in the Charlotte Mason approach to homeschooling with a Waldorf twist. This list is all about sharing ideas on how to embark on Waldorf homeschooling either alone or as a group. This is a support group for families of all walks of life, all faiths, and all cultures who are on the Waldorf path. It is primarily for homeschoolers/unschoolers, but others are welcome. This is a group used to discuss Oak Meadow curriculum, Waldorf Education, parenting and homeschooling. This group is for parents and those who care for young children and wish to bring a Waldorf experience/education to the children in their lives. A resource community for persons interested in home or unschooling with an emphasis on the Waldorf curriculum and the pedagogical ideals of Rudolf Steiner. This group is for homeschooling parents/guardians who are interested in or currently using Waldorf methods to homeschool a “special needs” child. Waldorf inspired educational information, methods, artistic ideas, and pragmatics, sharing spiritual insights and practical advice with others.